We have finished the first trip of Biking Through Spain!!! 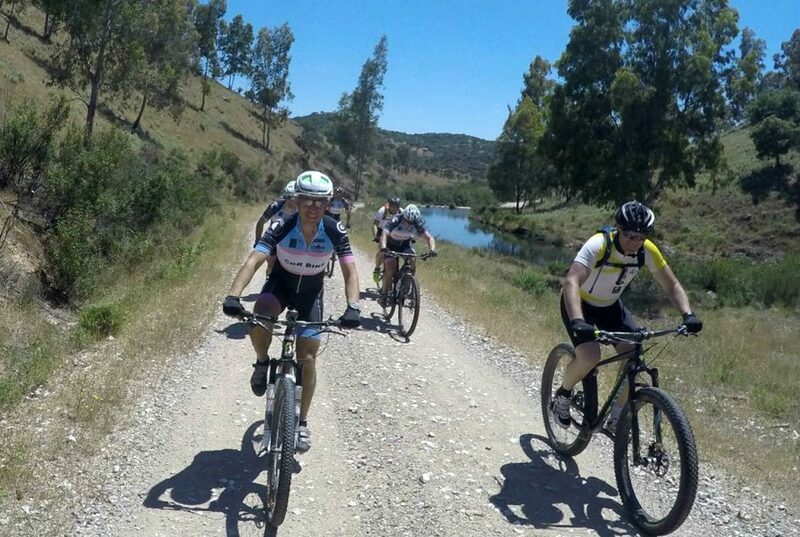 At the beginning of June a group of experienced bikers, Catalans and Valencians, did an alternative Santiago Way on bike by La Ruta de la Plata, from Sevilla to Astorga. Guided by José Terreros, the participants accomplished the 700 km in one week, with an average of 100 km a day, crossing the communities of Andalucia, Extremadura and Castilla y León. The trip went smoothly except for a few days of intense heat and some more difficult stretches due to inclines and accumulated time. The Ruta de la Plata has extraordinary landscapes that we encountered going through some of the natural parks: Parque Natural de la Sierra Norte de Sevilla; Zona Especial de los Llanos de Cáceres and Parque Natural Cornalvo. The other big attraction of this way is its’ pass on the old route of La Plata that has being continually used since ancient times. An itinerary full of the vestiges that still remain from the Roman populations that used this route as a principal means of communication between the north and south of the peninsula (Itálica, Mérida, Cáparra, etc.). On the other hand the Ruta de la Plata has become the principal pilgrimage route to Santiago that historically has taken the populations of the south to the Tomb of the Apostle. It’s a magnificent variant of the Santiago Way on bike.